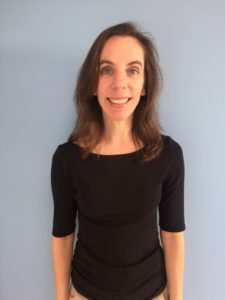 Dr. Amber Hartman, was born and raised in Vermont where she received her bachelor degree in Exercise Science from Lyndon State College in 2011. While at Lyndon, Amber spent 3 years as a Division III Tennis player and earned her certification as a personal trainer through the National Strength and Conditioning Association. Amber completed her graduate studies at Northeastern University in Boston MA where she received her Doctorate in Physical Therapy. Amber’s goals are to provide all of her patients with a deep understanding of their injury or condition. She strives to provide the tools and education necessary to empower each patient towards better health, improved function, and well being. She has treated a variety of clients with a large emphasis in geriatric health and fitness and spinal disorders. Amber strives to improve her knowledge through the attendance of continued education and has recently completed both level 1 and level 2 of The Meeks Methods, geared toward the prevention and treatment of spinal compression fractures. On the weekends you can find Amber perusing antique stores, hiking, golfing, or getting in the car and getting lost in the beautiful state of NC. 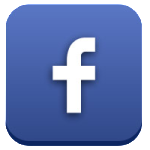 Heidi Betz Smith, PT, graduated from University of Florida with a Master’s in Physical Therapy in 2005. Prior to that she attended Clemson University for her undergraduate degree in Health Science. She is a huge college football fan. Her interest and focus has always been in orthopedics and working with athletes. Heidi spent a large portion of her life as a distance runner and soccer player and has recently switched to more strength and conditioning workouts. She is passionate about helping people develop healthy fitness routines. She has a strong background in running mechanics and performs video analysis for runners. Manual techniques combined with corrective exercises are what she uses to allow continued running and return to full strength competing in less time. Heidi has an extensive background in sports medicine with a clinical rotation spent in Birmingham, AL where she had the opportunity to work with some of the top sports physical therapists in the country. She also has a strong manual therapy background having spent a year studying the Maitland technique in California while she worked at one of the most elite gyms in the Bay Area. 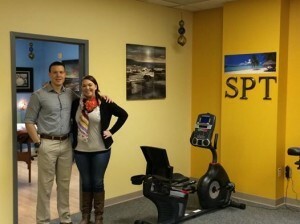 After her training in California, Heidi worked in Savannah, Georgia, where she became the head of the physical therapy division of D1 Sports Training. Since then, Heidi has worked with a local orthopedic group. In 2015, she joined the Saylor Team, and is extremely happy and honored to become part of the Team. 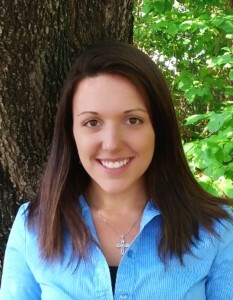 Jennifer Jones, DPT is a native of Huntington, West Virginia. Her parents are both physical therapists, so she saw the benefits of physical therapy first hand through the impact they had on their patients. Jennifer earned Bachelor degrees in Biology and Health Sciences from Duquense University, in Pittsburgh, Pennsylvania. She obtained a Doctorate of Physical Therapy from The University of St. Augustine for Health Sciences, where her studies focused on Dr. Stanley Paris’s manual therapy techniques, including soft tissue and joint mobilization as well as myofascial release. She has worked primarily in outpatient orthopedics, treating a variety of patients, including post-operative rehab, sports injuries, and facilitating return to sports program for athletes. Jennifer enjoys treating patients with all types of musculoskeletal problems. She incorporates her advanced coursework in kinesiotaping and Leukotaping, Total Motion Release, Kevin Wilk’s treatment of shoulder and knee injuries, and the Sara Meeks Method of postural correction for patients with osteoporosis, into her practice. She continues to expand her knowledge base and clinical skills through ongoing continuing education. Jennifer believes that to have successful outcomes, more than just the injured area needs to be assessed and, if necessary, treated as well. She provides patients with one-on-one attention, educating them about their condition, and ensuring that they are able to take that knowledge home in the form of exercise and self-care activities. Alex Reiley, DPT was born and raised in California, where he earned his undergraduate degree from UC Berkeley. He earned his Doctorate in Physical Therapy from Duke University. 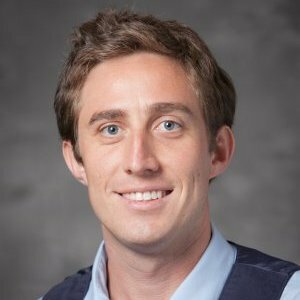 At Duke, Alex studied orthopedics with Dr. Michael Reiman, one of the foremost experts on the evidence-based treatment of musculoskeletal disorders. Alex combines hands-on manual therapy with therapeutic exercise and postural correction in order to decrease pain and improve quality of movement. He enjoys empowering patients with the tools they need to achieve their goals and return to the activities that are important to them. During his year of clinical education, Alex gained extensive experience helping patients to overcome dizziness and improve their balance. He is also experienced in treating work-related injuries and enjoys helping patients recover quickly and return to work equipped with the ability to use proper body mechanics in order to prevent future injuries. Alex is fascinated by pain science, particularly the role of physical activity in pain modulation, and strives to become an expert in treating chronic pain. On the weekends, Alex enjoys playing basketball and chess, watching Golden State Warriors and Duke Basketball games, and exploring the local food and music scenes. 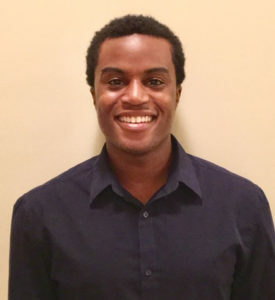 Dr. Maurice Oliver, PT, DPT was born and raised in Delaware, where he earned his undergraduate degree in Movement Science from Delaware State University in 2014. He earned his Doctorate in Physical Therapy from the University of Maryland Eastern Shore. Maurice has clinical experience in outpatient orthopedics/sports and neurological rehab in which he treated patients ranging from high school athletes, weekend warriors, military personnel, and patients with Parkinson’s Disease. During his Neurological clinical rotation, he practiced various LSVT related Parkinson’s exercises that helped improve the mobility of those patients. Maurice has experience with Athletic trainers at both the high school and college level. He continues to further his knowledge in working with sport related injuries and is currently a certified weightlifting coach, through the company Clinical Athlete. Maurice’s treatment approach focuses on finding the contributing factors of a patient’s pain and providing corrective exercises and techniques to restore the kinetic chain. On the weekends Maurice enjoys distance running, which has included several half marathons. He also enjoys hiking and kayaking, and is excited to be apart of Saylor! Barbara Felleman was born and raised in New York and move to North Carolina 3 years ago with her husband and three dogs. She comes to us with many years of experience in Administrative Assistance. At her last position, she worked as a Physical Therapy Aide at a nursing home. She is truly excited to be apart of Saylor Physical Therapy as the Office Manager for Cornelius. Barbara brings years of front desk and customer service experience with her. 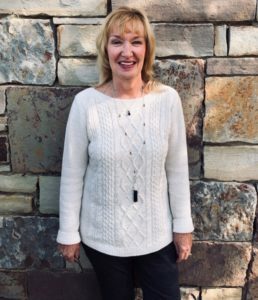 In her spare time, she loves volunteering for the local animal shelter, and going out on their boat and spending time with her two sons and three grandsons. 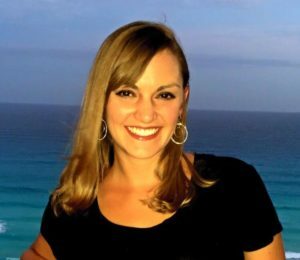 Jaclyn Fisher, is a Florida native who graduated from Florida Atlantic University in 2009 in which she earned her Bachelor’s Degree in Health Care Administration. In 2015 she earned a Certificate in Medical Billing and Coding from Palm Beach State College. She is also CPR Certified. After caring for a close family member that was lost to ALS, she aspired to be part of the medical field which she has proudly served in for over 10 years. 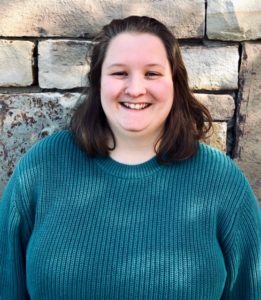 She enjoys the fast-paced ever-changing day-to-day of customer service and prides herself on a work ethic that ensures a positive image of herself and the company she represents. In her free time, she enjoys spending time with her family and friends, her cat and dog and watching the Indianapolis Colts. Morgan Hutchings was born in New Jersey and raised in North Carolina. She graduated from Central Piedmont Community College in 2018 with her degree in Business Administration. She has experience in working with children as a tutor, as well as working in the customer service industry for years. She will be assisting Barbara in the front office of Cornelius. Morgan is passionate about literature and enjoys spending much of her free time reading. With the rest of her time, she loves to garden, play with her cats, and spend time with friends and family.